In ancient Greek, the words “muthos” (a forerunner of the modern English word “myth”) and “logos” (related to our word “logic”) were almost interchangeable; both meant something like “an account of the truth”. Over time, “muthos” came to mean an account of truth through story. Then Plato started using the word “muthos” to mean something fictional, or untrue. Oddly enough, however, even Plato used myths to communicate his most important philosophical truths. Still, between Plato and our modern love affair with enlightenment rationalism and scientism (the philosophy that science is the only means to knowledge), we have forgotten the importance of myth and imagination as means to knowledge and truth. Or we have denied the truths of myth, or that myths and stories and mythic stories can lead to real knowledge. This summer, my friend David O’Hara and I discovered a beaver dam. David O’Hara and I have written two books together. One (“From Homer to Harry Potter”) explores the importance of myth and of story, especially story in the fantastic mode. Our more recent book (“Narnia and the Fields of Arbol: the Environmental Vision of C.S.Lewis”) explores the narrower topic of how myth and fantasy can be important vehicles for considering ecological ideas and motivating healthy environmental practices. 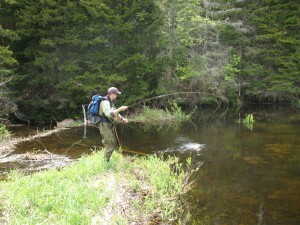 Dave and I also fish together, and spent many years scouring Vermont for that beaver dam that dominates the imagination of brook trout anglers. It is a beaver dam we have heard many stories about, though it is always in different places, usually only dimly remembered, as on the borders of the realm of Faërie. More importantly, like a good fairy tale, this beaver dam also invariably resides in the time known as “once upon a time”—say five or six years ago, in a second or even third hand memory. We have been on many wild goose chases in pursuit of this dam, but had yet to find it. Then came our discovery in June of 2009. 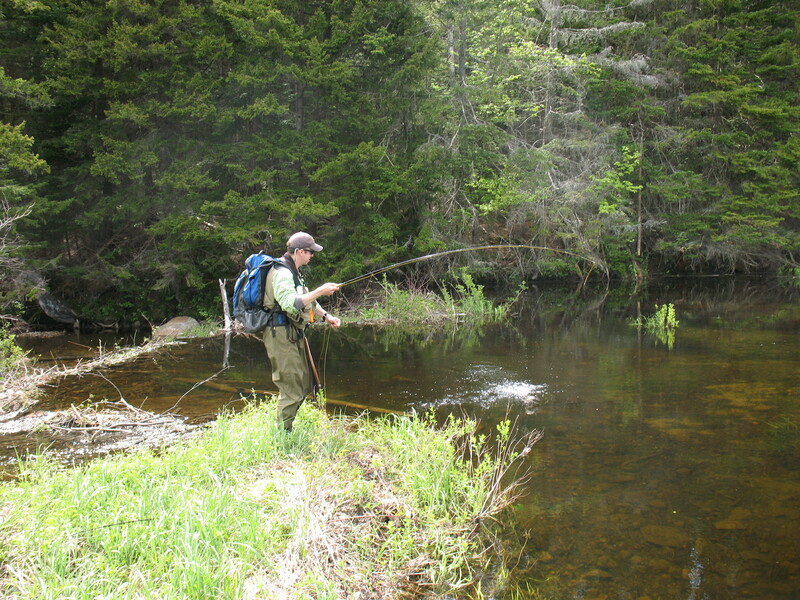 The beaver dam was on a wild brook trout stream right here in Vermont. It was not an old beaver dam, made during the Cold War and long since silted over, nor a beaver dam next to a road that twenty other anglers have long since “discovered” and fished clean (before the trout could even grow), nor even a brand new beaver dam too young to have been populated by trout. What we discovered was the storied Beaver Dam. 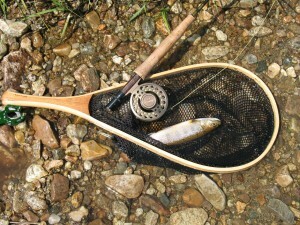 I might even say the mythical Beaver Dam: the dam far enough in the woods that there were no signs of any other anglers, freshly enough made to still be deep and unsilted, and yet old enough to have been found by a dozen or more wild brook trout, and even old enough for a couple of those trout to have grown past a foot in length. We almost missed the dam altogether. We’d hiked more than two miles parallel to this wild trout stream to get into it well off the road, where it flows into a larger body of water. 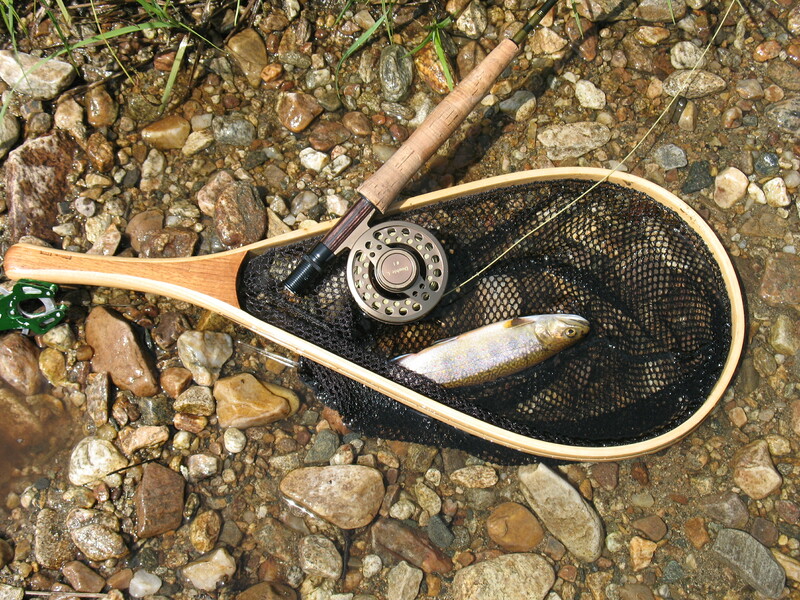 Then, after a picnic lunch, we started fishing our way back upstream, casting a mix of dry flies and little nymphs. But for all our hiking, we saw not a single fish. We fished a good half a mile without a single bite. With a sigh, we acknowledged that our labors had been in vain—though we had enjoyed the scenery, and the sight of a bald eagle. And a glimpse of a beaver. Fortunately, we were believers in stories and even in myths. We were also believers that beavers build beaver dams. So we agreed to fish one more corner of the stream before cutting back to the trail and returning to our car empty-creeled. It was that next corner where Dave caught is first little wild 5” brookie. And the corner after that where I caught my first. Over the next 75 yards, we’d hooked three or four more. So we kept fishing, and kept getting little trout, all between about 4” and 7”. And then we rounded a bend in the stream and saw the Beaver Dam. Freshly maintained, as I described, but just old enough to have started collecting and growing trout. It was the discovery of our dreams. We fished it a good hour and hooked several trout, including a couple that pushed 12”. Some got away. Some didn’t. Some we carefully released. Two came home from that pool for dinner as proof of what we’d found, but we left at least a dozen still swimming around. I’ve thought about going back. But who knows if it will still be there as I remember it? Some other anglers may have found it and gone back a dozen times since, cleaning out every last trout. So for now, it remains in my mind and memory just what it should be: the Storied Beaver Dam: a piece of Vermont’s own mythology. In ten years, I might even tell some kid where I found it—give or take a few hundred yards and a couple years.